Aire-sur-L'Adour is one of 2 launch bases that CNES operates in France. A few days before launch, the science team prepares the gondola containing all the instruments at the launch site. Launch day begins with a weather update. If the conditions are right, the launch team lays out the flight train on the ground. This generally consists of the gondola and science instruments, as well as a radar reflector, parachutes for the balloon landing, and a small auxiliary balloon to lift the gondola off the ground until the main balloon is airborne. 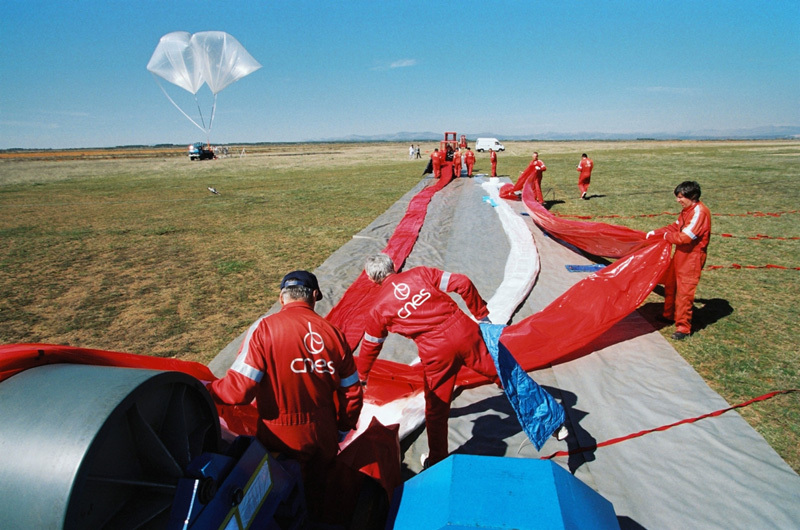 One hour later, the main balloon—about 50 times larger than the auxiliary balloon—is unfolded and inflated. 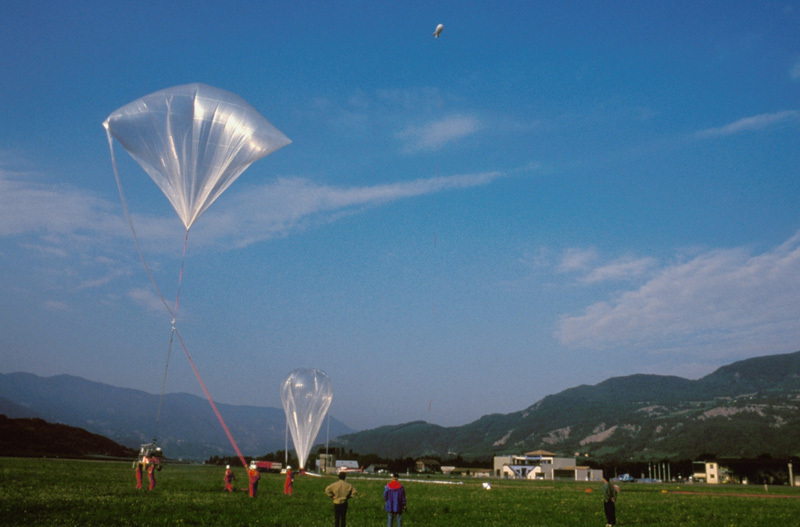 Once launched, it can reach an altitude of 30 km in less than 2 hours. 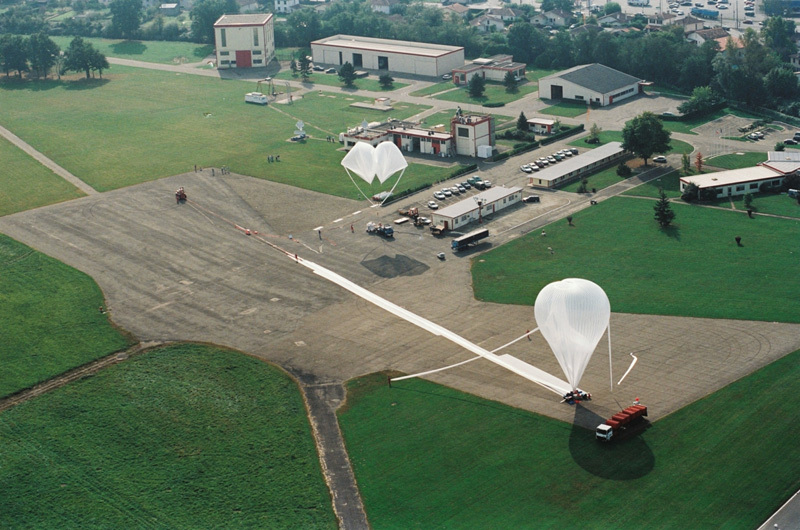 Once the balloon has completed its programmed experiments, which only take a few hours, its descent is remotely controlled by teams on the ground. They must find a landing site where the balloon and its precious scientific payload can be brought safely and securely back to Earth. During these tricky final 30 minutes of the descent, the balloon is braked by parachutes also opened by remote control from the ground.